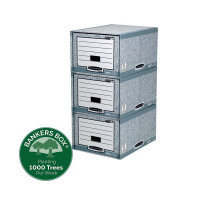 The extra strong Bankers Box storage drawer features a reinforced shell liner and drawer liner, and is stackable up to 6 units high for space saving storage. The drawer can hold A4 ring binders and lever arch files, Bankers Box system transfer box files and foolscap suspension files. 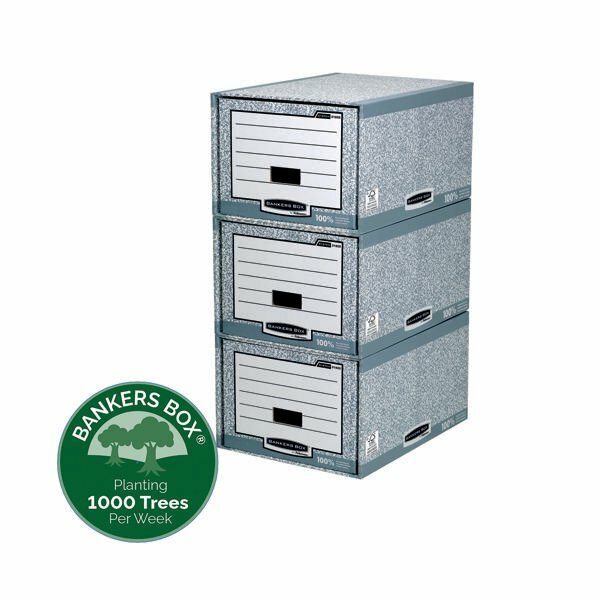 This pack contains 5 grey drawers measuring W400 x D290 x H400mm (internal).